Though chef Alex Raij of Txikito credits Ferran Adrià with setting a new standard for regional Spanish cuisine, her Manhattan restaurant, Txikito serves indisputably elegant Basque cuisine. Raij’s Txipiron Encebollado, or grilled squid ribbons, is a lighter, more refined version of the national Basque dish. 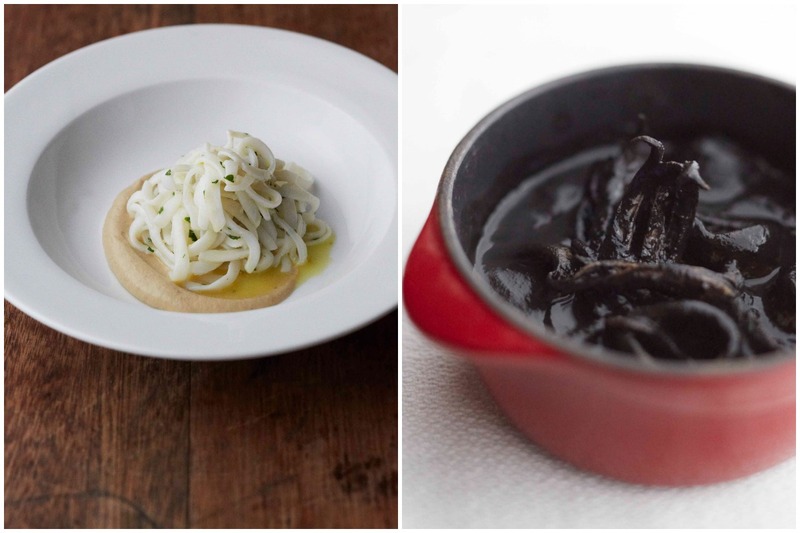 Done without the traditional squid ink, the dish is dressed in a sweet onion and pine nut sauce — tinted a surprising winter white. 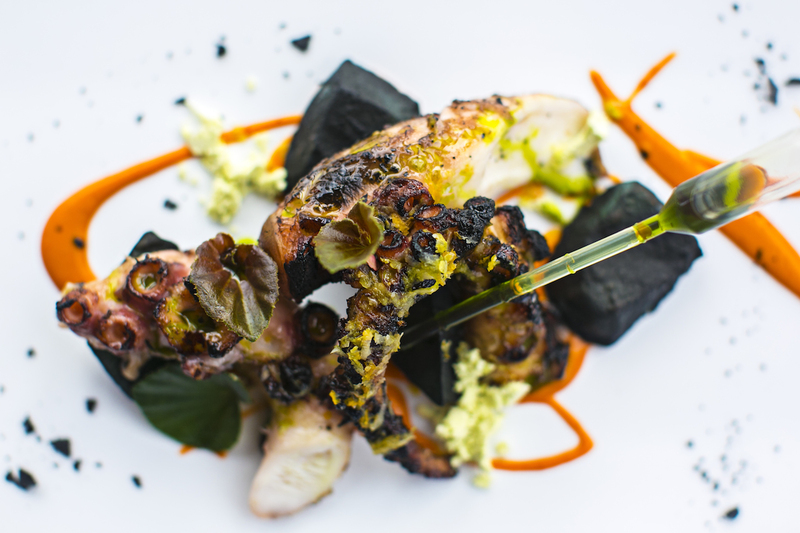 “We treat the squid like linguini,” said Raij, who opened Txikito to serve this dish. To sample a more traditional version of squid in its own ink, stroll a few blocks to Raij’s sister Spanish restaurant, El Quinto Pino. Make a reservation at Txikito. 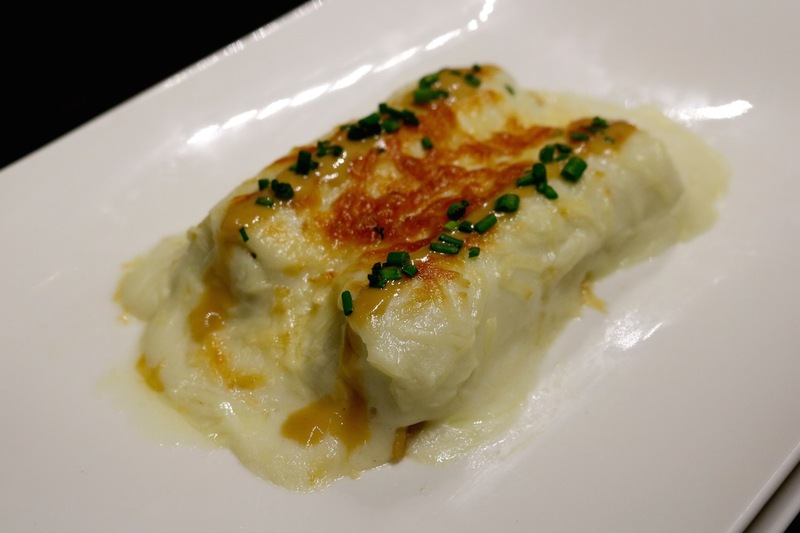 Canelones de Pollo, Jaleo, Washington, D.C.
A one-time apprentice at Ferran Adrià’s el Bulli, chef José Andrés has spent a career exploring Spain’s regions through food. New dishes at all of the Jaleo restaurants, including the D.C. location, reimagine Basque flavors through the lens of his native Asturias, Cataluña, and others. With canelones de pollo, Andrés riffs on a traditional Catalan pasta dish, adding prunes and onions to the stuffing. Known as Basque comfort food, the dish is topped with pine nuts, cheese, and, for a touch of French, béchamel sauce. Make a reservation at Jaleo. Raised on both sides of the Spanish-French border, chef Bernard Ibarra (pictured) comes home to Basque cuisine at his latest restaurant, A Basq Kitchen. 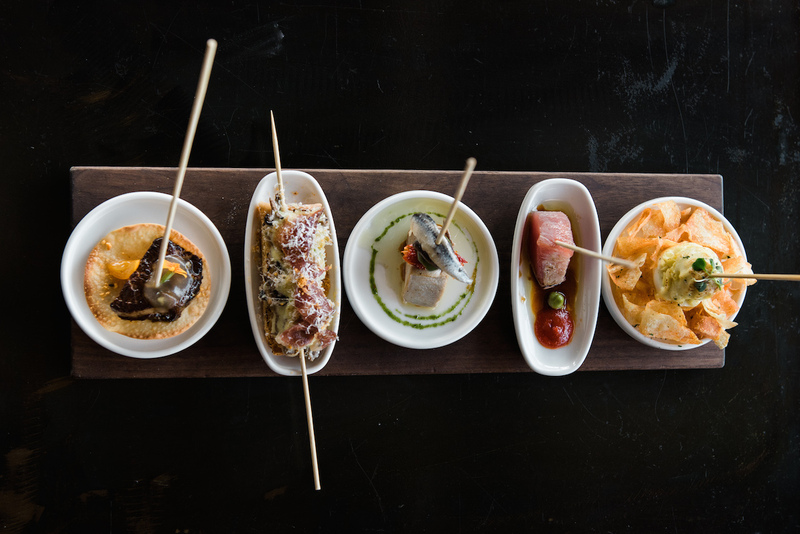 Situated on the harbor in Redondo Beach, A Basque Kitchen focuses its menu on the seafoods that define the region. Squid in its own ink is a hugely popular staple, but Ibarra breaks his own Basq rule to make paella once a week. Made with Basque sausage and seasoned with Basque chiles (espelette and piquillo), the dish is a beacon for greater Los Angeles where century-old Basque restaurants still dot the landscape. Be sure to try the bread from seventh-generation baker John Baptiste Garacochea. “It’s one-hundred-and-twenty years of Basque-U.S. culture in one loaf,” says Ibarra. Make a reservation at A Basq Kitchen. A Spanish restaurant heavily influenced by Basque cuisine, The Harvest Vine regularly rotates Basque classics onto the menu. 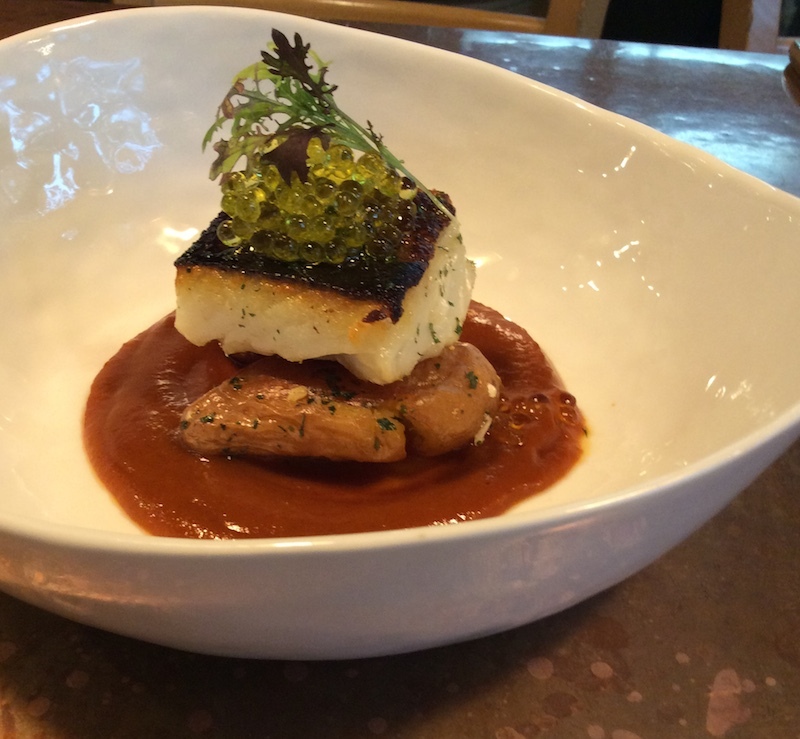 Bacalao a la Viscaina, or cod in Biscay sauce, is a traditional salt cod recipe updated by chef Joey Serquinia. Spheres of encapsulated Arbequina oil top house-cured cod dressed with a mildly spicy red sauce made from Oregon-grown, Basque native Choricero peppers. Be sure to share with your neighbors at the communal dining table, a throwback to traditional Basque restaurants. Make a reservation at The Harvest Vine. 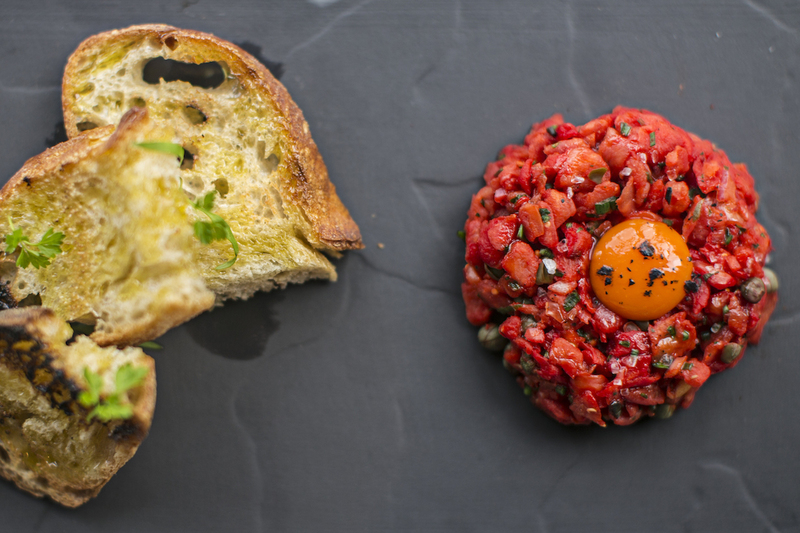 Are you seeing more restaurants serving or specializing in Basque cuisine? Let us know where you’re dining and what you’re ordering here or Facebook, G+, Instagram, Pinterest, or Twitter. Christina Mueller is a San Francisco-based writer, epicurean adventurer, and culinary sleuth. Find her at //christinamueller.com and follow her on Instagram @EatDrinkThink and Twitter @EatDrinkThink. Photo credits: Michaela Joy (Teleferic Barcelona); Heidi Geldhauser (Cooks & Soldiers/header); Alex Raij (Txikito); Think Food Group (Jaleo). When I was in high school I had a job supplying Basque sheppards who herded folks of sheep in the west deserts of Utah and eastern Nevada. We would load a truck with sacks of potatos, onions, coffe, beans, sugar and salt….and a bunch of canned goods and drive around until we found their camps. It was always a treat when they would offer us supper….they don’t hire many Basques now…now there are a lot of Peruvians. Really ? Come to Nevada where real basque families , the way of life and food remain. Do any of those restaurants cited above serve tongue on a regular basis? Fascinating article! 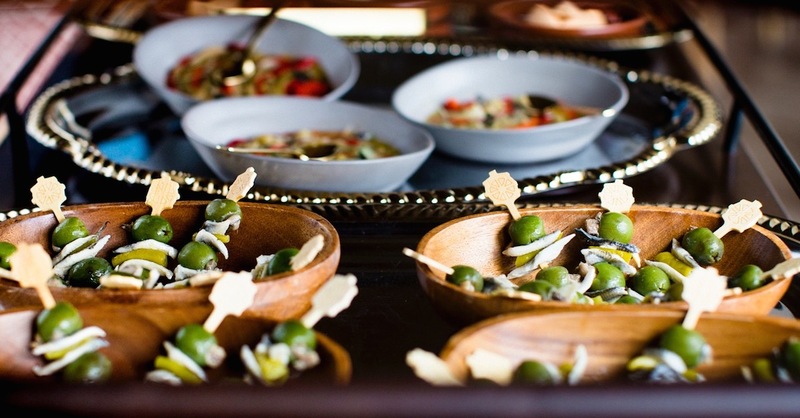 Love that Basque gastronomy will get its moment in the spotlight. My family is Basque living in Southern California! Actually, you would be surprised. While researching this article, I was amazed at the authenticity of many of these restaurants as well as how some are updating the cuisine for today’s palates (which include offal). Not all but some of the chefs who are running these restaurants are native Basque. I encourage you to look at their menus and get inspired. 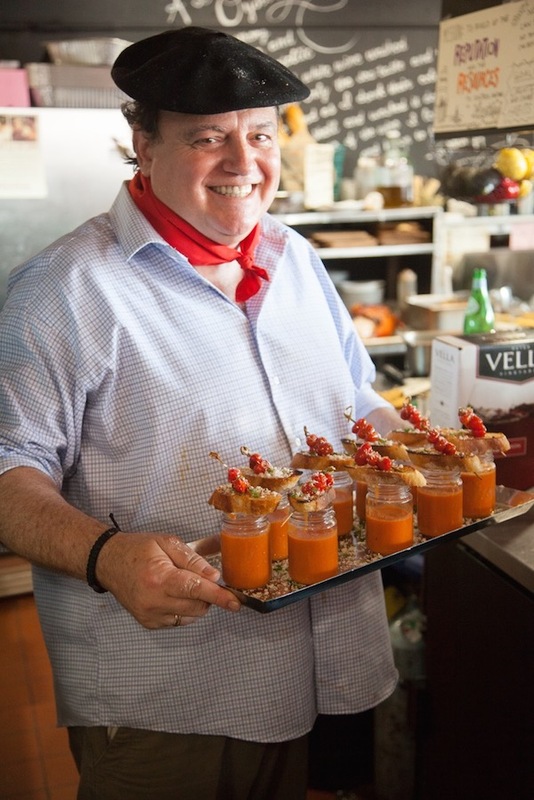 You can see, above, that I include one dish for veal tongue from La Cuchara in Baltimore. 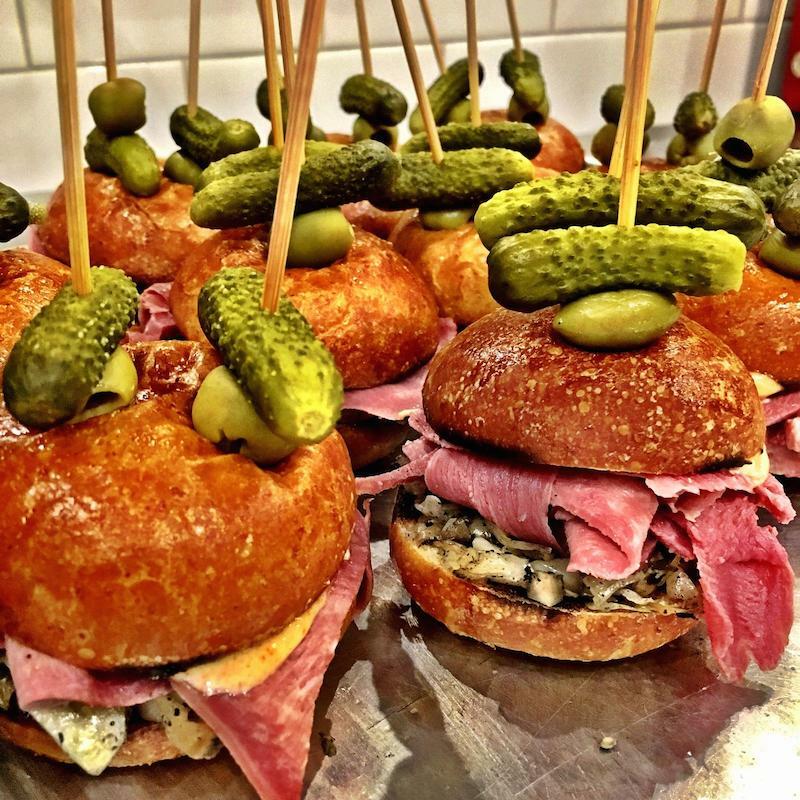 Many of these restaurants are serving up authentic cuisine and some are infusing modern flavors for modern palates, which, BTW, includes offal. I encourage you to check out their menus and get inspired.